iWalk for Animals 2013 Is Right Around the Corner! 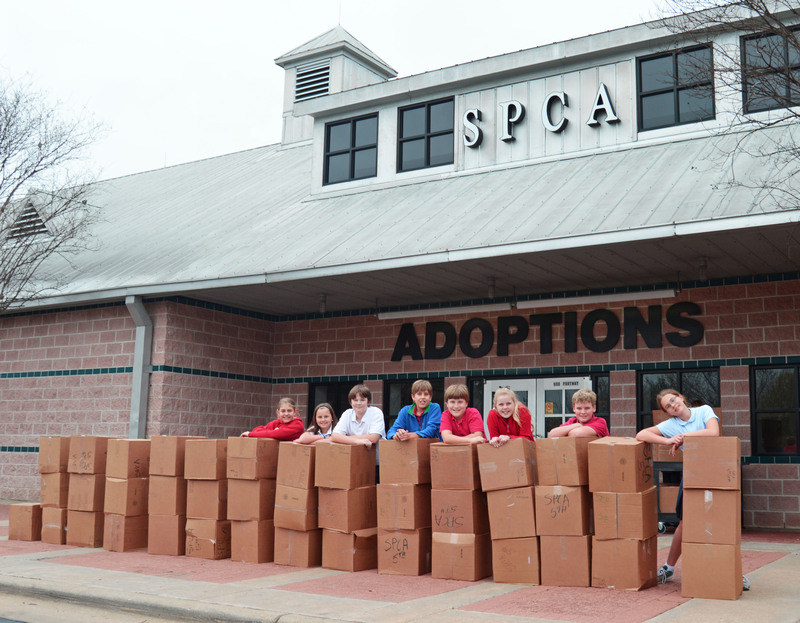 Sometimes you probably wonder what you can do to help out the animals at the Houston SPCA. Or maybe you think about how you can help out your animals that you already have at home. This weekend the Houston SPCA has an event taking place in which you can do both! It’s called iWalk for Animals and it is a great way for you to help out the rescued animals at the Houston SPCA AND give your pets a bit of exercise, love, and attention! The Houston SPCA started iWalk for Animals three years ago as an event to encourage animal enthusiasts around Houston and the world to walk their animals together to help give abused, neglected, and orphaned animals a second chance at life. 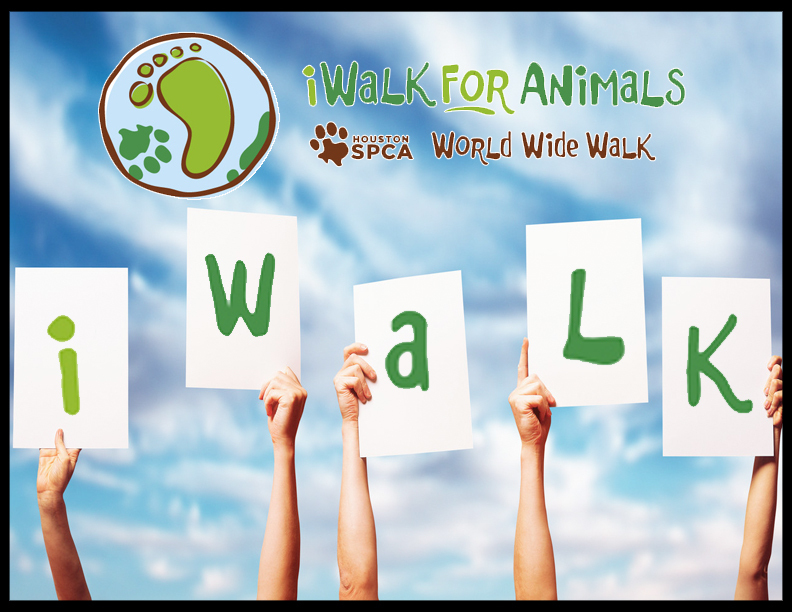 The best part about iWalk for Animals is that you can walk with your pets any time of day or night and anywhere you choose on November 10, 2013 and know that you are walking with thousands of people across the world to help animals who need a home. You are doing something on a GLOBAL scale with people just like you who care about animals! That’s pretty darn awesome! How does this benefit your animals you may ask? Taking your pets for a walk or spending some extra time playing with them has many health benefits as well as emotional benefits for them. They get a bit more exercise to help with cardiovascular health as well as more bonding time with their favorite people in the world– YOU! So grab you best friend and take them on a nice walk! 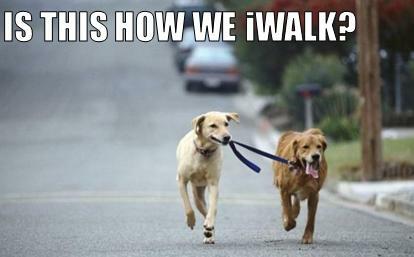 So what is the goal of iWalk for Animals? The Houston SPCA wants to raise $350,000 to help support all of the life-saving programs that they offer to the community, including adoptions of rescued animals to loving families, animal cruelty investigations, the 24-hour injured stray animal rescue ambulance, disaster relief, and much more. How could you not want to support that?? 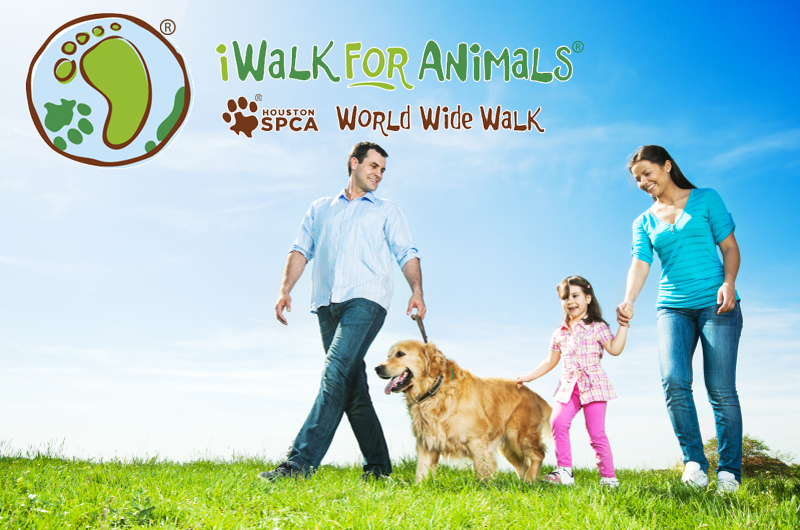 To be a part of iWalk for Animals, register by Sunday November 10, 2013. You can register as an individual or as a team with your family, friends, and co-workers. Everyone who registers will receive their own iWalk for Animals t-shirt to show your support for animals in need! It takes about 5 minutes to register – what are you waiting for? We’re ready for iWalk for Animals – Are you? Categories: Cats, Dogs, Houston SPCA | Tags: Animal, Animal welfare, Houston, Houstonspca, iWalkforAnimals, Organizations, Pet, Rescues and Shelters | Permalink.